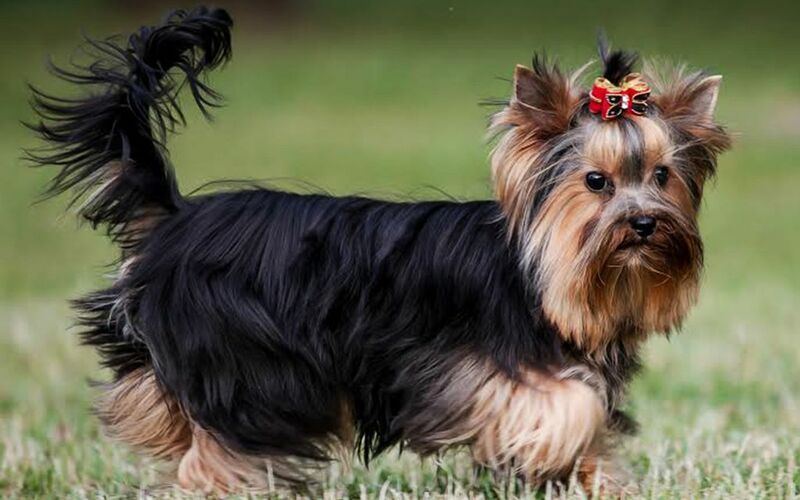 The Yorkshire Terrier is a long-haired toy terrier whose blue and tan coat is parted on the face and from the base of the skull to the end of the tail and hangs evenly and quite straight down each side of the body. The hair on the head is so abundant that it is almost always necessary to gather it in a band to keep from going into the dog’s food bowl and to give the animal maximum visibility. Some owners choose to trim the hair on top of the head. This puppy is one of the world’s smallest dogs. 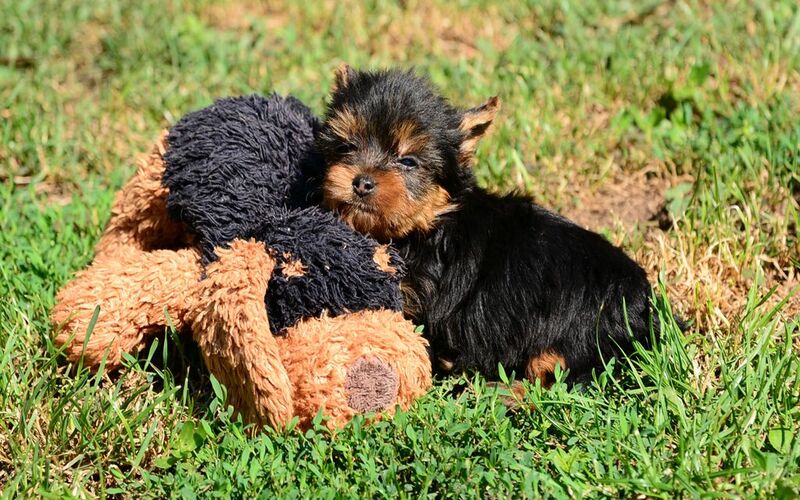 Newborn Yorkies are born black in color with tan on the eyebrow, jaws, chest and feet. They are fully mature in two years. 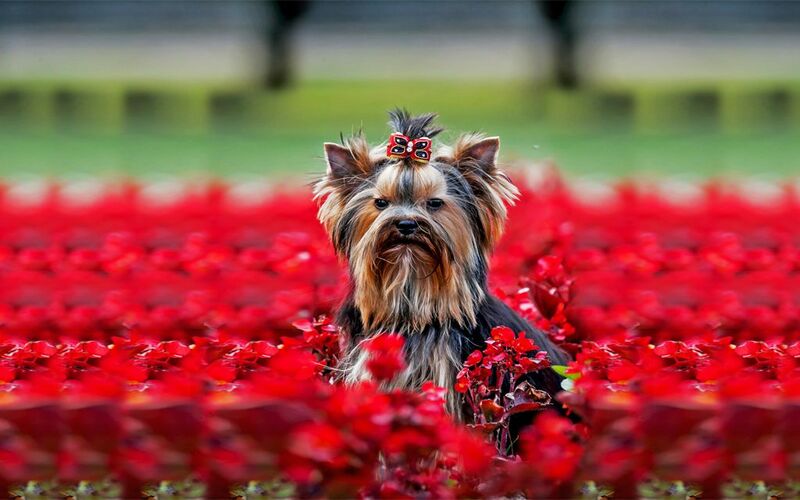 Yorkshire Terriers are intelligent, spirited and alert. Patient training and early socialization will reduce the Yorkshire Terrier’s tendencies towards timidity and nipping. 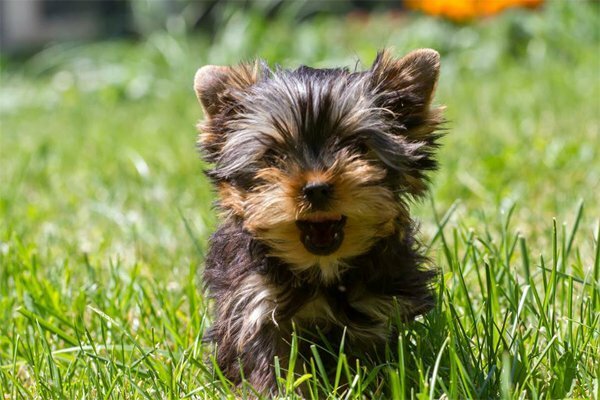 The Yorkie is a “big dog in a small dog’s body,” it can be aggressive to strange dogs and small animals. They do best with older, considerate children. Yorkies are easy to train, although they can sometimes be stubborn. The breed is demanding and dependant and needs a lot of human attention. The Yorkie is an excellent watchdog, defending its territory in no uncertain manner. 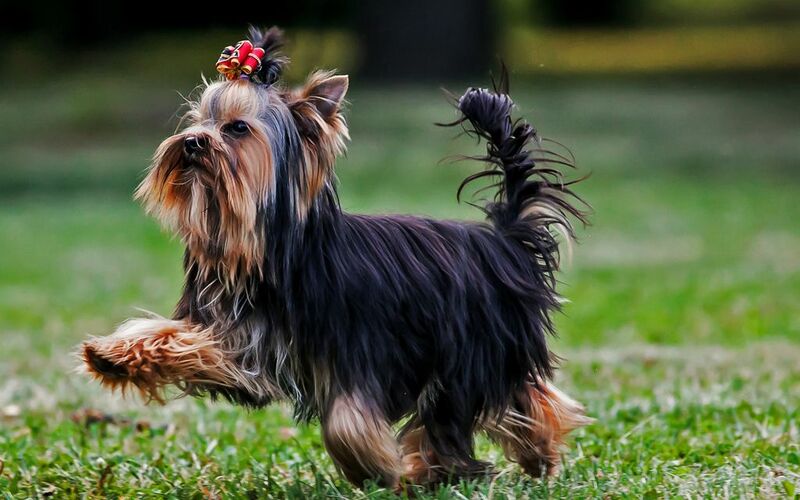 Yorkshire Terriers have a fine and silky coat. Teacup Yorkies are susceptible to eye irritations, premature dental disease and patellar luxation. 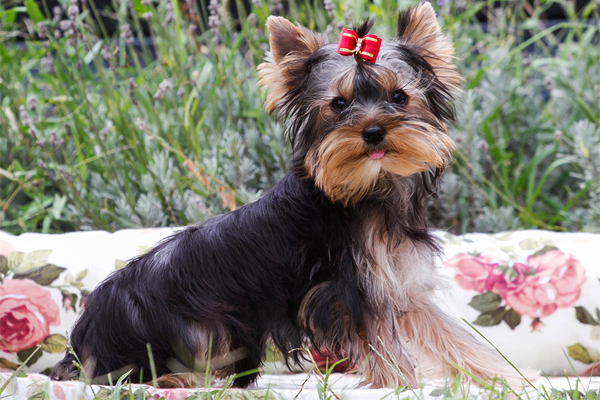 Yorkies are prone to bronchitis and early tooth decay, poor tolerance of anaesthetic, and delicate digestion. Be sure to feed Yorkies with dry food (canned food can be added) to help keep their teeth clean and strong. They should get their teeth cleaned at the Vet to keep them from falling out and creating infection. Some puppies suffer paralysis in the hindquarters caused by herniated disks and other problems of the spine. 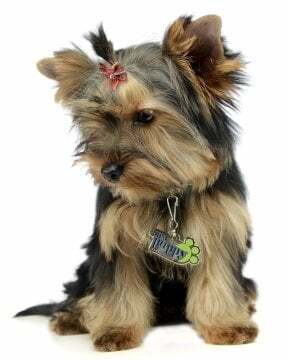 To minimize the risk of your Yorkie developing any hereditary health issues, you should buy a Yorkie puppy from a reputable Yorkshire Terrier breeder. Apartment life is quite suitable for a Yorkshire Terrier. Although it is quite partial to long walks that country living can afford, it is able to adapt to all lifestyles and live in a reduced space. The breed can be sensitive to the cold weather and shows much preference for warm climates. Seien Sie vor Allem, wenn eine neue Yorkshire Terrier Rasse zum Markt kommt.